Life has a way of always keeping us busy and on the go. When you come home at the end of the day, you want a comfortable space where you can kick back and de-stress. More homeowners are turning to calming interior design and interior window shade styles to give their home a gentle feeling, similar to a spa retreat. If you want to feel completely “at home” in your home, here are a few ideas for creating gentle and calm living space. 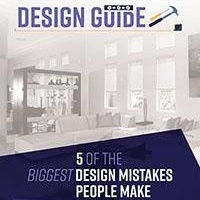 The first step in an interior design project is selecting the color palette you want to use. Whites, creams, and neutrals are the foundation for any calming design. When including color in the space, stick to pale, muted tones. Earthy, light shades of green and blue are the most popular choices, but you can easily work in pale purples or yellows as well. The colors should feel peaceful and unassuming. Creating a calming interior space also depends on the furnishings you choose. Sharp corners and angular features provide a more modern feel, so stick with round, smooth silhouettes. Pick comfortable furniture with soft cushioning and luscious fabric. Including extra throw pillows will help the space feel cozy and inviting. Do not overcrowd the room with too much furniture. The space should feel open and airy. Keep this feeling in mind when choosing your accent pieces as well. Your tabletops and shelves should look decorated, but not overcrowded. Candles are a classic choice – they look great, smell great, and enhance the atmosphere when they are lit. Freshly cut flowers are another popular choice that can add brightness and color to your calming environment. Succulents are an easy way to add natural beauty to any room. 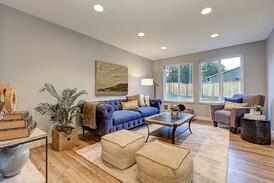 Open space and natural light are two fundamental aspects of gentle, calming design. 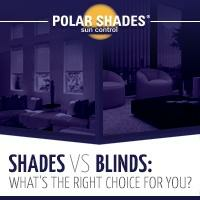 Selecting the right window treatments is an important part of your design plans. 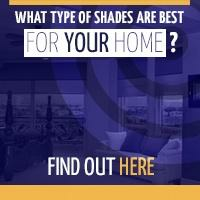 Interior window shades are the perfect way to maintain an open feel. They allow the right amount of natural light in, while reducing the glare and heat from the sun. 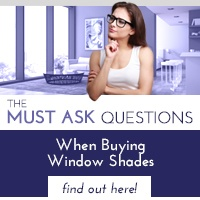 The UV protection in interior window shades will protect your furnishings from the sun’s damaging effects.. If you want to let more light in and enjoy the view, interior window shades easily retract. Interior window shades look great on their own, but you can also pair them with curtains. Translucent curtains work exceptionally well for this design aesthetic. If you want opaque curtains, you should still stick with lighter weight fabrics. Heavy curtains will weigh the space down, detracting from the comforting environment. Polar Shades has a wide selection of interior window shades in a variety of neutral shades to fit any calming living space design. If you would like to schedule your free in-home consultation, we invite you to contact us today at 702-260-6110.